It takes some guts -- and a belly full of wine -- to slag your cash cow in front of a group of reporters. But that's exactly what Chehalem founder/winemaker Harry Peterson-Nedry did recently, speaking about Oregon Pinot Gris. "Pinot Gris is a good cashflow wine, but its days in Oregon are limited," said Peterson-Nedry, right. "As a variety it's just not as great as Riesling or Chardonnay." I agree. But some consumers love Pinot Gris precisely because it's less flavorful than Riesling or Chard. There are some times when people simply want a neutral wine; this is why Italian Pinot Grigio (same grape, different accent) is one of the most popular imported wines in America, particularly on the East Coast. Pinot Gris is hugely important in Oregon. It's easily the second-most produced variety, behind Pinot Noir. Pinot Gris also continues to be planted; production in 2009 was up 45% over 2003, though that's a bit less than the average variety, which was up 67.5%. One damning thing about Pinot Gris, though, is that serious tastings exclude it. At the Culinary Institute of America in St. Helena, Peterson-Nedry and Rollin Soles of Argyle led several of us through a 30-wine tasting of older Oregon wines in an attempt to prove the state's gravitas. We tasted Rieslings as far back as 1988 and Chardonnays as far back as 1998, but not one Pinot Gris. Again, this is not necessarily a bad thing. I think most consumers cellar wines too long, not too little. If you have a nice tannic Fronsac, you want to put it away for a decade or more. But most American wines these days are made to drink now, and you're doing yourself and the wine a disservice by waiting five years. You'll note that there's not one Chardonnay on my list of favorites. I walked away from this tasting a believer in the aging potential of Oregon Pinot Noir, but despite the constantly drawn parallels to Burgundy, I don't think the older Chards are in the same league. Oregon is a bit like New Zealand in that it doesn't get the attention of its larger neighbor, and its advocates are always worried about the wines' international reputations. Argyle's Soles believes this kind of tasting in California is necessary. "Great wines age," Soles says. "We want to show the world that we are a serious wine region. We're trying to invest in future generations." Which brings me back to Pinot Gris. Does it bring down the reputation of Oregon as a wine region when 16.7% of its wine tastes, essentially, like "white wine"? I think not. If Oregon Pinot Gris tasted bad, maybe it would. I think New York state wineries' insistence on making Bordeaux varietals holds back their reputation for this reason. But there's nothing wrong with a wine that tastes like nothing, especially when you realize you're never robbing the cradle to drink it. The problem is price. A lovely, and often more interesting, Italian Pinot grigio is a fraction of the $20+ prices many Oregon wineries want for their Pinot gris. Oregon Pinot gris is a tasting room cash cow, less expensive than Pinot noir. It's a new experience for visitors who already know about the more common Chardonnays and Rieslings. It's an easy sale to someone who wants a souvenir of the winery. It's liked by people with little wine experience. Until the recession, a $20+ price was tolerated. For continued sales outside of the tasting room (and even tasting room sales have slowed down), the quality has to go up, and the price has to come down. As a producer of Oregon Pinot gris, I'd have to say the real problem is greed. Most Oregon producers do not farm not vinify Pinot gris with the same degree of respect that they give to Riesling or Chardonnay. To wit: try keeping the crop yields down, not entirely tank fermenting, making gris by reipe, or trying to please the masses by making it cloyingly sweet. Most white wine varietals are made with the intent to be comsumed young. This, inherently, is not a fault. I love young Riesling as well as old Riesling. I like "unoaked Chardonnay" as well as aged Chablis. We can find faults in all wine regions that have a wine that is their "star". Let's take Marlborough Sauvignon blanc, for instance. It is a perfect example of greed dicating style. There are wonderful Suavignon blanc wines coming out of Marlborough, but, unfortunately, they are the exception rather than the rule. Greed has caused much of the problem there as well as here. A glut of Sauvignon blanc has caused a 180 degree turn in how Sauvignon blanc is treated in New Zealand. And, I hope the same happens here in Oregon. Like any grape, its potential is only as good as its inputs. Until most Oregon wineries decide to treat Pinot gris with the respect it deserves consumers will continue to drink wines that lack inspiration. I concur with krushgrapz here. Pinot Gris is a legitimate style that is tasted in serious competition. An aromatic style that is hard to pull off. Over or under ripening is the most common problem for Pinot Gris producers. The real question for Oregon Pinot Gris is whether its worth the regions reputation if every producer makes Pinot Gris and there is a serious lack of regionalism and quality in these wines. 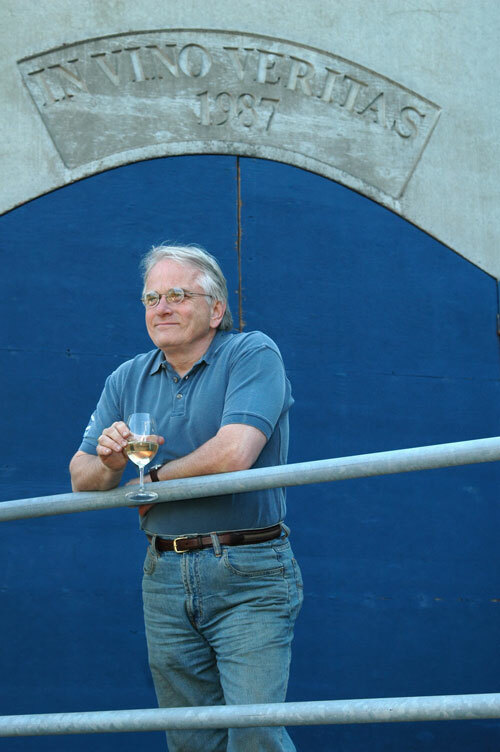 Is Oregon ideal for Pinot Gris? I think your question is rather valid in many ways. Let's turn the question around to answer it. Is California ideal for Pinot noir? This is not a "dig" at California. I am trying to illustrate a point. A few places in California are. Most aren't. San Joaquin Valley Pinot noir? Many laugh, but it is a reality. There is an amazing amount of Pinot noir grown where it shouldn't. I believe the parallel is made here in Oregon. Let's narrow our focus to further illustrate my point. Of the few regions that are ideal for Pinot noir in CA, how many producers in that region actually make wine that is of quality or that you enjoy? The same goes for Pinot gris here. We do have what it takes to make extremely good Pinot gris. The trick is finding those who make the Pinot gris you like- those producers who treat the grape as more than a "cash cow". Pinot Gris as with all of the Pinot familly expresses itself most often as a factor of its environment. If you want to make thin insipid wines that's easy enough, just overcrop and over-ripen. When made well, Pinot Gris can be awesome. When made poorly, you might as well get some bag-n-box. It does tend to be a cash cow and in my opinion overpriced, but that is changing. Sometimes people just want a nice refreshing wine that they can drink. To think that everything Oregon produces has to meet some worldly standard is nonsense. I sell wine here in oregon and have for the last 30+ years. I probably taste at least 80 wines a week in my store which is only 20 minutes away from wine country. I see Pinot Gris as a wine many people like as a change from Chardonnay. Most Oregon Chardonnay that impresses is usually above $15 and usually above $20. In this economy there are more people who want a nice wine that is less than $12. I taste lots of Oregon Pinot Gris that they want to retail at $15 and above. For me the market right now is not there. Unless it really stands out I have trouble with that kind of pricing. I would say that this is true of any category of wine, not just Pinot Gris. I go through much the same thing with our Pinot Noir. Two points as far as Old vs New world and aging potential of Oregon Chardonnay and Pinot Gris. Jancis Robinson and a few others were amazed in July 2009 by how gorgeous some Oregon Chardonnay cab aged. This was during Eyrie Vineyards vertical tasting of every single Chardonnay produced starting with their 1970 vintage. Personally, I had the chance to taste the 1973, 1985 and 1987 and I wouldn't look any further to contradict some of the points made here. Never had a chance to taste them yet, but I have heard of how beautiful some of the Eyrie's Pinot Gris vintages from the 1980's (1984 or 1985) are tasting today. I believe that some of those lucky enough to be invited this week to Oregon Pinot Camp may have had a chance to taste a 1987 vintage from Eyrie. So, I wouldn't put down Oregon Pinot gris yet. Riesling may be the new darling of the day, but Pinot gris still has a lot to offer for the discerning palate. I fully agree with Harry Peterson Nedry if he is forecasting the demise of P. Gris and the rise of Chardonnay and Riesling. I Broker vineyard properties in Oregon, and there is a clear trend that I see in the interests of my clients looking to acquire and develop vineyard properties in the Willamette Valley. Many believe that the white and red grape varieties of Burgundy should be produced side by side a region that has favored Pinot Noir to the degree that it has. I can think of none that are planning on planting Pinot Gris, and several that are very interested in seeing what can be done with the new Chardonnay clone and rootstock selections being worked with in Oregon in recent years. Peter B. "But most American wines these days are made to drink now, and you're doing yourself and the wine a disservice by waiting five years." I think this is true for a portion of new world wines, but not all. I think we need to be careful with these broad brush statements (Gris comments included), as not all producers believe this to be true. In fact, some would find it insulting. Anon: What part of "most" is confusing?